You are here: Home / CONNECT 2018: A Taiko Gathering / CONNECT 2018: What’s happening? What’s happening at CONNECT 2018? A LOT! 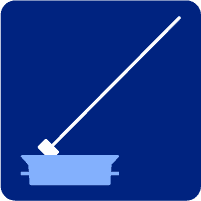 We’ve got great workshops and activities planned. The times below are still approximate, but should give you a good idea of what to expect when you arrive. 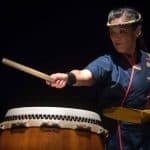 PJ will present a holistic and immersive workshop featuring her distilled treasure of invigorating taiko tips, energy, joy, and mindful interaction. 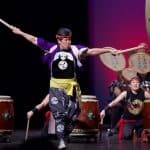 This workshop will strengthen and illuminate our capacity to play kumidaiko with a deeper connectedness. Come with bachi, curiosity, and an open mind/open heart. 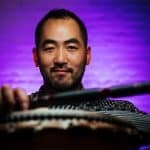 嶋本　龍’s workshop will introduce the key rhythms of one of his most popular compositions. “Yui (結)” is a contemporary and engaging song featuring multiple-drum set-ups and samba rhythms. 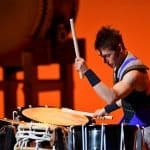 The goal for playing the piece is to experience a deep sense of connection and kumidaiko in which all players’ hearts connect as one. The Groove: Playing. Improvising. Performing. In this workshop, Tiffany will explore the different elements of strong and lively backbeats, experiment with aspects of improvisation and composition, and work out how all of this combines together in order to help you connect with your fellow drummers and the world around you. Kaoru’s workshop will help you unlock the mysteries of the often-expressed (but rarely-understood) idea of playing taiko “using your entire body.” Learn how to get a bigger and richer sound by using fuller, more expressive motions, and how to build awareness of your own sense of balance, stability, relaxation, control, and posture while playing a variety of rhythms, dynamic levels, and speeds.